Thanks for 21 years of wonderful service! Have a well earned retirement!! BYE BYE 1400s. For those who don't know, 1400s were the first modern articulateds in the USA. All photo copyright keegancoho@yahoo.com (Keegan Hartman) If you take them I will be mad. If you want them, please ask. 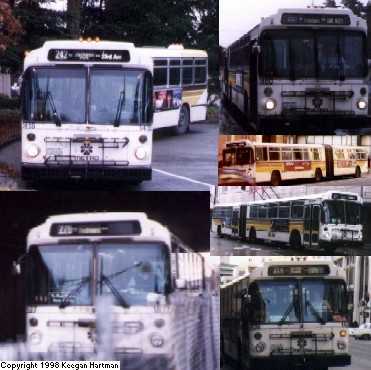 Please join the Seattle Transit Mailing List... On this list we will discuss mass transit in the Seattle/Puget Sound Region... Vancouver has their own list, so why can we? This World Wide Transit Ring site owned by Keegan Hartman. Since November 14, 1998. I hope this one works better than the two counters above.